Excelera has announced the appointment of Lorrie A. Carr as its new CEO. Ms. Carr succeeds Jim Fox who retired effective April 2. She assumed her responsibilities on July 9th. Lorrie A. Carr, CEO of ExceleraRx Corp.
As CEO, my primary objectives will be to continue the great work that has been started, develop innovative strategies designed to grow and leverage our membership, and build meaningful partnerships with biopharmaceutical clients. “After a thorough and deliberate selection process, the Board of Directors is delighted that Lorrie will lead Excelera as we navigate the dynamic and evolving specialty pharmacy industry,” said Robert Beacher, Chairman of the Board and interim CEO for Excelera. “Lorrie has a very diverse background within the biopharma and specialty pharmacy sectors, which will allow her to build upon our industry-leading position supporting our Members in caring for complex patients. I have no doubt that she is the right person to lead Excelera into new and innovative growth opportunities." Prior to joining Excelera, Ms. Carr was the Chief Commercial Officer for ZappRx – a healthcare technology company whose mission is to alleviate barriers that prevent patient access to life-saving specialty medications. Before ZappRx, Ms. Carr held an executive role within Walgreens Specialty Pharmacy as the Divisional VP of Enterprise Specialty Sales and Product Management. Ms. Carr started her career in the biopharmaceutical industry where she held leadership roles in global market access, reimbursement, managed care, marketing and network development. 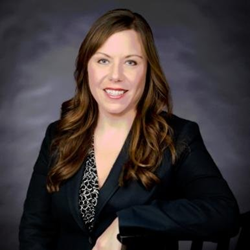 Ms. Carr received her Bachelor’s degree from Columbia College and holds her MBA from UMASS Isenberg School of Management. ExceleraRx Corp. supports the Excelera® Specialty Pharmacy Network, a national network of specialty pharmacies based at health systems and academic medical centers, enabling member organizations to gain access to limited distribution drugs and restricted payer agreements. The Excelera network provides national-scale efficiency and collaboration to improve quality and value of outpatient specialty drug therapy for population health outcomes. Excelera’s mission is to “provide tools, technology and best practices around high-performing specialty pharmacy capabilities to network members, so that they can provide integrated, coordinated care to complex patients at the point-of-care leading to improved health outcomes and decreased healthcare costs.” For a current list of Excelera specialty pharmacy network members, or for more information about becoming a member of the Excelera network, visit excelerarx.com or follow us on LinkedIn.